A whole book of 18 new quilt projects all made with the original Flip Flop Block curved template. Published by AQS in the Fall of 2010. You'll just love it! There's a VT Wedding Ring version, there's even a partial paper piecing design, check it out on the pattern page of the web site. 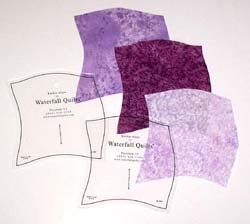 Kathie Alyce is a designer of quilt patterns, The Flip Flop Block curved template, beautiful landscape patterns, lectures, and classes. She is a contemporary, award-winning quilter from Central Vermont. 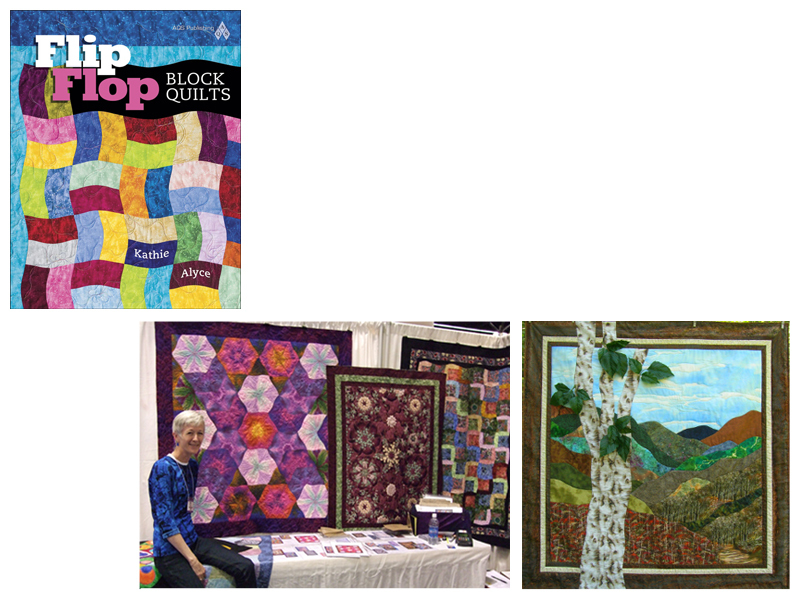 Kathie has been creating, designing, and teaching quilting for the past 20 years. She has received many awards for different pieces of work at all levels of competition. These awards range from judge's choice, people's choice, and first through third place ribbons. Kathie is working on a series of landscape wallhangings, painting backgrounds, and creating machine-worked trees. She welcomes and enjoys commission work. All quilts are 100% cotton and with cotton or poly batting.